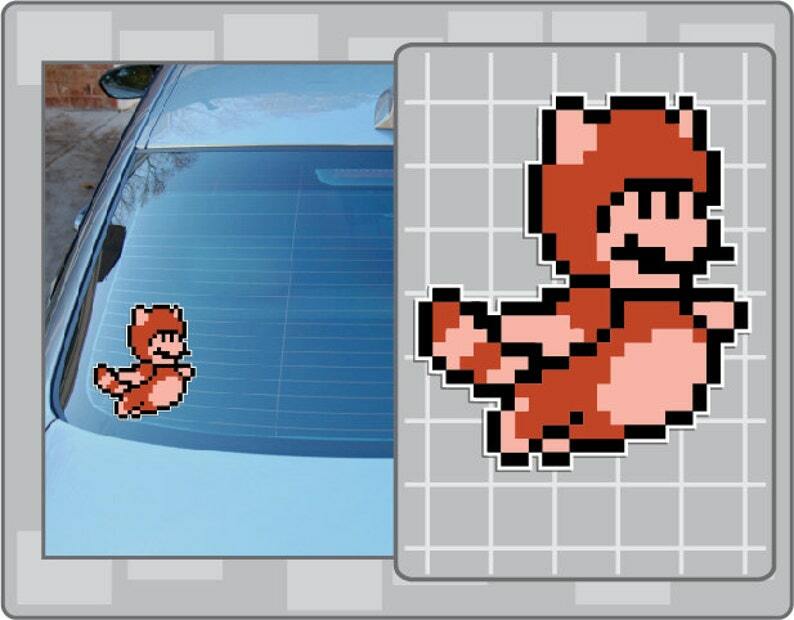 TANOOKI MARIO Sprite vinyl decal from Super Mario Bros. 3 Sticker for almost anything! This is a TANOOKI MARIO from Super Mario Bros. 3 vinyl decal sticker. FIRE MARIO Sprite vinyl decal No. 2 from Super Mario Bros. Sticker for almost anything!